The district of Kothagudem is being excavated in the old district of Badradri Kothagudem. 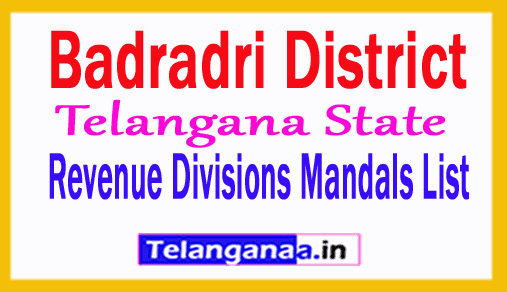 The district shares borders with the districts Bhoopalapalle, Mahabubabad, Khammam and the states AP and Chattisgarh. 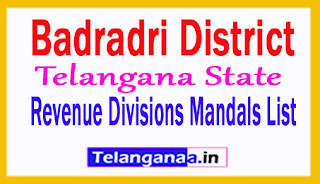 The district comprises 24 mandates and 2 revenue divisions Kothagudem and Bhadrachalam. The district headquarters is located in the city of Kothagudem. Kothagudem is well connected via the Bhadrachalam Road train station. There are bus services from Kothagudem to all major cities in Telangana and the other neighboring districts. The district has two bus depots in Kothagudem and Bhadrachalam. The district of Kothagudem boasts of some important industries. The district is equipped with a variety of important minerals such as coal. Singareni Collieries Company Limited (SCCL), a state-owned coal mining corporation jointly owned by the Government of Telangana and the Government of India, is based in Kothagudem. SCCL currently operates 16 open-pit mines and underground mines in 30 Telangana 4 districts with a workforce of 58,737. Kothagudem Thermal Power Plant, located in Paloncha, is one of the power plants based on Coal Telangana Power Generation Corporation Limited (TSGENCO), ITC Paper and Specialty Papers Division (ITC-PSPD), which is among the top names of stores worldwide. is located in the village of Sarapaka near Bhadrachalam. The Kothagudem district is also rich in forest reserves.